Bacteriostatic Water. Bacteriostatic Water UK. Bac Water. | Hospira Bacteriostatic Water Still Out of Stock Worldwide. You are here: Home » Category 1 » Hospira Bacteriostatic Water Still Out of Stock Worldwide. Just a quick update from us as we have received information from several customers that they have tried to purchase Hospira Bacteriostatic Water from other websites after being promised it is in stock. Most of them have received nothing and 2 have been sent obviously faked products. We do however have the highest quality Generic Bacteriostatic Water available anywhere in stock and currently on sale. 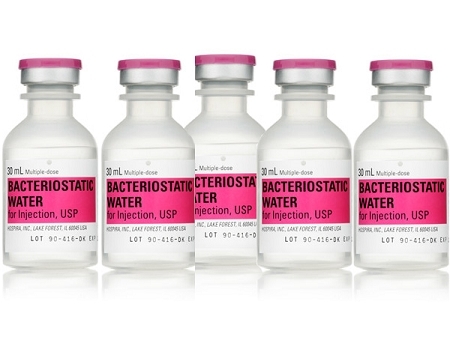 10ml, 20ml and 30ml Bacteriostatic Water is available and at an unbeatable price. We also have Generic Bacteriostatic Sodium Chloride and many other associated items including sterile vials, water for injection, insulin syringes, needles and peptides (plus many more). Please visit www.bac-water.com to check out our great deals. © Copyright 2018 Bacteriostatic Water. Bacteriostatic Water UK. Bac Water.